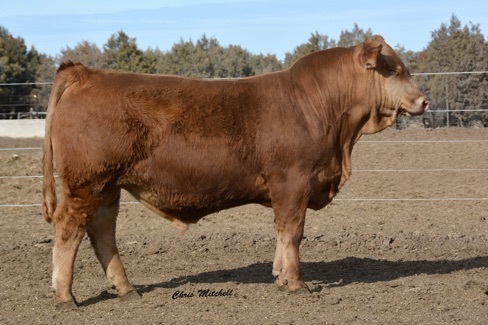 Homozygous polled, diluter free 94% Red Purebred sire. Arapahoe offers exceptional calving ease and growth in the top 25% of the breed while doing it in a moderate framed, eye pleasing package. One of the stout made purebred bulls that still offers a soft, contemporary look with above average volume. Sired by the great calving ease leader Hille X102 and out of the Post Rock Rhonda cow family adds crediablity to this outstanding sire.